With the UK’s most prestigious film awards taking place later today (10 February), it’s time to enter into a round of foolproof – or is that foolhardy? – predictions on who will win at the 72nd Baftas. To add an extra level of frisson, the Baftas are historically seen as an indicator of Oscar winners, so the outcome on Sunday night will surely be seen as a predictor for the Academy Awards in two weeks time. Baftas’ top award has been very much a two-horse race since the nominations were first announced. Netflix’s Roma has a huge marketing campaign behind it, but with more of a British skew we expect The Favourite to be, well, the favourite here. Should The Favourite miss out on Best Film expect it to waltz its way towards Outstanding British Film. However, don’t discount Queen biopic Bohemian Rhapsody which should run it close despite the controversy surround director Bryan Singer. 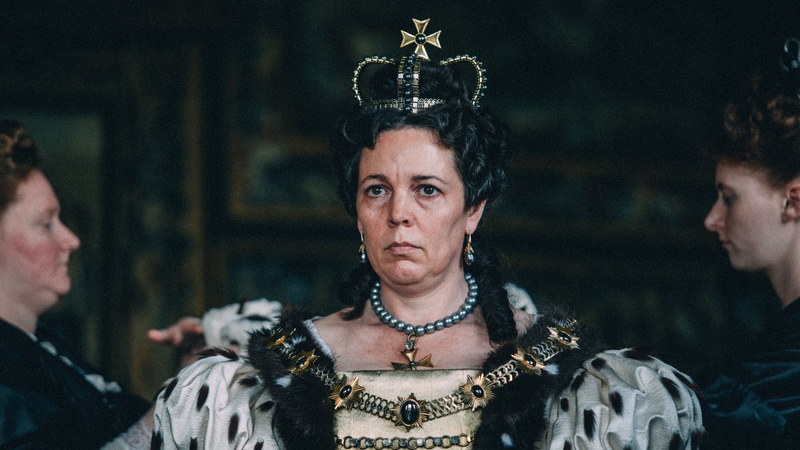 The Wife star Glenn Close has the Oscar in the bag already if leading trades are to be believed, but thanks to a home crowd we expect The Favourite’s Olivia Colman to pick up the coveted Best Actress Bafta for her turn as an eccentric, damaged Queen Anne. Rami Malek looks like a dead certainty to pick up Best Actor for his performance as Queen frontman Freddie Mercury in Bohemian Rhapsody. A hit with global audiences but both a film and performance that has received substantial criticism since its release last year, don’t expect this particular juggernaut to be derailed just yet. Rachel Weisz looks set to battle her The Favourite nemesis Emma Stone for the Best Supporting Actress award, with Weisz ultimately coming out on top. If you’re looking for a dark horse in this category, you could do worse than Amy Adams for her turn in Vice. Mahershala Ali will likely run him close for the Best Supporting Actor Oscar but when it comes to the Bafta, Richard E. Grant looks nailed on to win for his wonderful double act with Melissa McCarthy in Can You Ever Forgive Me?. Watch out for his Instagram posts later in the evening. A one-horse race, seemingly, for the adapted screenplay behind Spike Lee’s timely, rallying film on a black police officer’s infiltration of the Ku Klux Klan – once again proving that fact can be stranger than fiction. Another category and another likely win for Yorgos Lanthimos’ The Favourite, this time for its acerbic, venomous screenplay courtesy of Deborah Davis and Tony McNamara. Roma could be a good outside bet, as could Green Book. As with any award voted for by the public, expect the actor in the most widely seen film to come out on-top here – in this case, Black Panther and Black Mirror star Letitia Wright. Three very different animations this year, each utilising different techniques. However, despite the presence of the latest Disney Pixar blockbuster and Wes Anderson’s stop-motion offering Isle of Dogs, expect your friendly neighbourhood Spider-Man to snag the Bafta here. Roma’s time to shine at last in the Best Director category, with Alfonso Cuarón widely expected to win for his Netflix passion project Roma. If there is to be an upset here, it’s likely to be Greek director Yorgos Lanthimos for The Favourite. One of the strongest categories as always, with Apostasy and Beast the two films most likely to duke it out for the Outstanding Debut Bafta. Michael Pearce’s Beast to win it by a nose. Five fantastic films will battle it out here from Lebanon, Poland, Italy, Mexico and Japan. However, despite the presence of 2018 Palme d’Or winner Shoplifters, expect Alfonso Cuarón’s Roma to come away with the Bafta. Another extremely strong category, with three of the four highest grossing docs at the US box office in the running (only Fred Rodgers biodoc Won’t You Be My Neighbour misses out). Peter Jackson’s World War I restoration project They Shall Not Grow Old would be a logical winner, although 2018’s highest grossing doc at the UK box office, Free Solo, may just shade it at the death. The 72nd British Academy Film Awards will take place at the Royal Albert Hall on Sunday 10 February.